Homicide continues to be the second leading cause of death for youth ages 15-24, and the leading cause of death for African American youth. More than 700,000 young people ages 10 to 24 were treated in emergency departments in 2010 for injuries sustained due to violence. But responding to violence after it happens is only part of the solution. We must prevent youth violence before it begins. In addition, most youth, even those living in high risk situations, are not violent and more must be learned about the factors that are helping youth, protecting them from engaging in violent behavior so that others can benefit. One critical step is a better understanding of the factors that protect youth from engaging in violence. To inform prevention efforts that enhance protective influences, the Centers for Disease Control and Prevention’s (CDC) National Center for Injury Prevention and Control convened a panel with expertise in youth development, violence prevention, and analytic methods. This special supplement of the American Journal of Preventive Medicine, “Protective Factors for Youth Violence Perpetration Issues, Evidence, and Public Health Implications,” is the first publication developed from the panel’s work. Its primary purpose is to increase understanding of protective factors for youth violence perpetration by clarifying methods for conceptualizing, measuring, and distinguishing risk and protective effects. People often only consider the risk factors that need to be avoided. This work also examines the strengths that youths, families, schools, and communities have that we can build on to reduce youth violence, such as high academic achievement, and good family management. Protective factors can potentially work by directly reducing the likelihood of violence or by buffering against other risk factors. The influence of protective factors and the form of their relationship with violence perpetration may vary across settings, forms of violence (e.g., physical fighting, verbal aggression) and by age. Prevention strategies should be designed to enhance the influences that are most critical among the intended recipients. Some factors may have a protective effect without any corresponding risk effect and vice versa. For example, high levels of school attachment (e.g., looking forward to going to school, liking school, liking the teacher, and liking a class) was associated with lower odds of violent behavior but low school attachment was not associated with violence / did not increase the odds of violent behavior. Direct protective effects were least likely to occur alone, and more likely to occur in combination with risk effects. Risk effects were most likely to occur without an accompanying protective effect. Youth violence is influenced by a range of modifiable risk and protective factors. High-quality partnerships among community collaborators, practitioners, and prevention researchers are necessary to understand local needs, select effective prevention strategies, and effectively implement and sustain those strategies. CDC’s Injury Center works to prevent injuries and violence and their adverse health consequences. 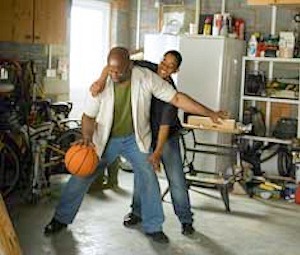 For more information about youth violence prevention, please visit http://www.cdc.gov/ViolencePrevention/youthviolence.